How Much Does an International Driver License Cost? International Driver License or an International Driving Permit (IDP) is the mandatory recognizable form of identification for overseas tourists and travelers, which is valid in 174 countries. The International Driving Permit is a legal translation of the person’s current driver’s license in ten different languages. Applicants that are at least 18 years of age and have a current US driver’s license can apply for an IDP. When Do You Need an IDP? Many countries require drivers from other countries to have an International Driving Permit at all times if they want to drive within their borders. Showing an IDP in foreign countries prevents legal hassles such as bail fees and fines if you are stopped by the local law enforcement or have been in an accident and are unable to present proof of your driving eligibility. Although not all countries require travelers to have an IDP, it may be helpful for you to have one in any case because an IDP serves as an extremely useful form of identification since it’s translated into ten different languages. This means that an International Driving Permit can prevent any communication problems during the process of ID checking. On the other hand, an IDP might also be necessary to have if you’re renting a car in the country you’re visiting. You can only apply for an International Driving Permit through the AAA or NAC. AAA is the American Automobile Association, while NAC is the National Automobile Club. A completed IDP application includes the AAA application and NAC application, a valid driver’s license that has been issued by the state DMV, two passport-sized photos, your signature on the back of the photos, and the payment. 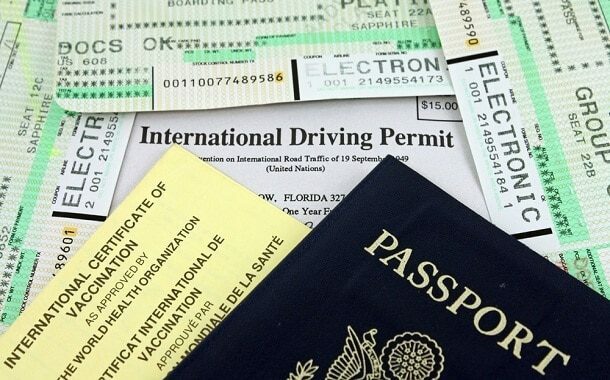 According to the US Department of State, citizens can order an International Driving Permit from any one of the two authorized retailers – the National Auto Club or the American Automobile Association. An IDP costs $15 at the AAA as well as the NAC. When ordering from the NAC, you’ll have to add $3 for first class shipping. To order an International Driving Permit, the applicant should complete the application form in person or via mail. When applying by mail, the applicants should make photocopies of both sides of their valid driver’s license. The IDP arrives in ten to fifteen business days from the date the application is received. The ID card includes the traveler’s name and a photo along with the driver’s information in ten different languages. The IDP obtained from the NAC or AAA is valid for one year from the issued date, and the traveler is required to keep their original driver’s license up to date as well. Applicants should also keep in mind that the IDP isn’t a replacement for their original license and both the driver’s license and the International Driving Permit should be carried when driving abroad. For expedited shipping in one day in the US, the applicants will have to add $30, whereas for expedited international shipping, the applicants will have to add $75 and allow at least five to seven days. Two original passport-sized photos must also be included with the application to obtain an IDP. The average cost of these two passport-sized photos is around $15. If you want to avoid paying expedited shipping fees, make sure that you place the order for an IDP from the AAA up to six months in advance of the desired travel date. When ordering early, make sure that your US driver’s license is going to be valid for the six-month period after the issued date of the IDP. An IDP is required by most major car rental companies. When traveling to US border countries, an IDP is required when driving more than 50 miles into Canada or more than 300 miles into Mexico. Several online retailers also sell IDPs that are valid for one to ten years at a price range of $30-75. However, applicants should exercise caution when ordering an IDP from these companies and take a look at their Better Business Bureau ratings. Should the average working Joe get an IDP? If you’re traveling to a country that requires all drivers to have an IDP, then you should definitely get one, especially if you plan to take your car or to rent one and drive. It isn’t expensive to get and it will surely help you avoid some embarrassing situations. https://www.thepricer.org/wp-content/uploads/2016/11/IDP-cost.jpg 380 610 qSign http://www.thepricer.org/wp-content/uploads/2016/11/pricerlogonew.png qSign2016-11-09 18:05:362016-11-08 02:33:14How Much Does an International Driver License Cost? How Much Does Altered:Nozzle Cost? How Much Do Ballet Classes Cost?